"There's nothing like an airport for bringing you down to earth." 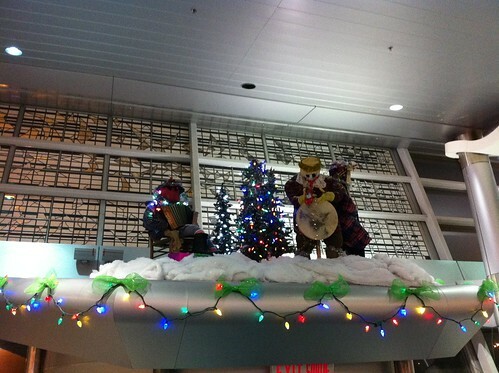 Mummers have the pride of place in the seasonal decoration at St. John's International Airport. You know what makes me feel really, really happy? 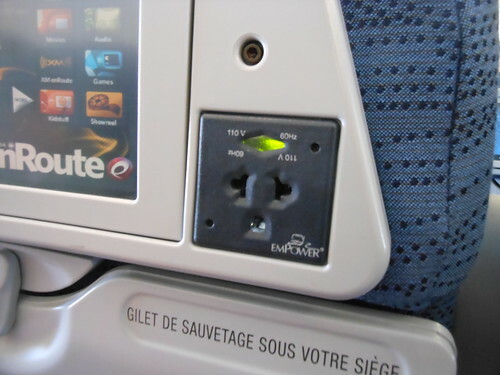 Seeing a power plug in the seat ahead of me when I board a plane. 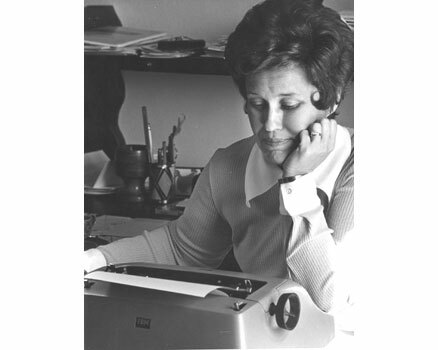 When I'm in writing mode, nothing makes me happier than the removal of a roadblock. You know what makes things more challenging? When that seat goes straight back ... but that's a gripe for another day. From the comedy trio Fascinating Aida, a song that travels well. There's no such thing as a flight for 50p, it seems. El Caminto del Rey is decidedly not for those with a fear of heights. Click here for more on this unusual way to see the Spanish countryside. 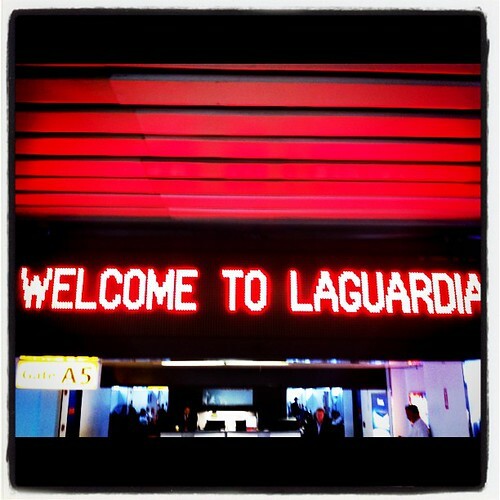 If all goes well, we'll be off to New York for a visit - shortish - sooner rather than later. We'll see. It's great to visit, and not bad reading about the city that never sleeps, etc etc. 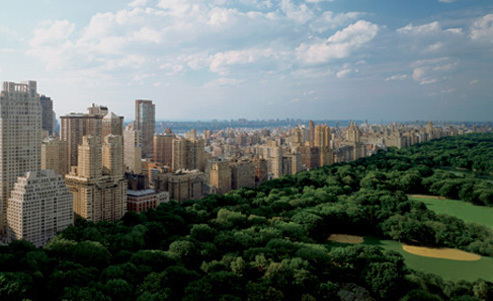 Vanity Fair's website has collected some of its featured articles over the years on Manhattan. I won't be taking my summer vacation until mid-August, but my mind has been on taking it easy. A few weeks ago, our son made a list of things he'd like to do around the city this summer, which struck his parents as a great idea: why not, indeed, take advantage of what's in our own backyard? That theme gets this week's web tour underway. Meanwhile, the 13th edition of the Sound Symposium wrapped up in St. John's this past Sunday; if you missed out on things, you can still sample a bit of the range of the festival by clicking on the Symposium Radio player, located on the main site. A playlist of tracks will open up, and while it's fairly small, it certainly suggests how wide the symposium's programming is. Look also for links to pages of many of the participating artists at this year's festival. Hundreds of rowers (and their very, very patient loved ones) keep an eye every day on the flag status at the boathouse at Quidi Vidi Lake. Why? Well, green means go … and you can figure out the rest. The flag, after all, determines if a crew gets practice time on the pond, and given that wind conditions can vary from one end of Quidi Vidi to the other, a lot can ride on it. This webcam is trained on it, and I can testify that at certain times of day, it must get quite a lot of viewers. I can't get over how large the travel section at many bookstores can be. That makes sense: for major trips, we've often invested in at least two resources to help guide us around. 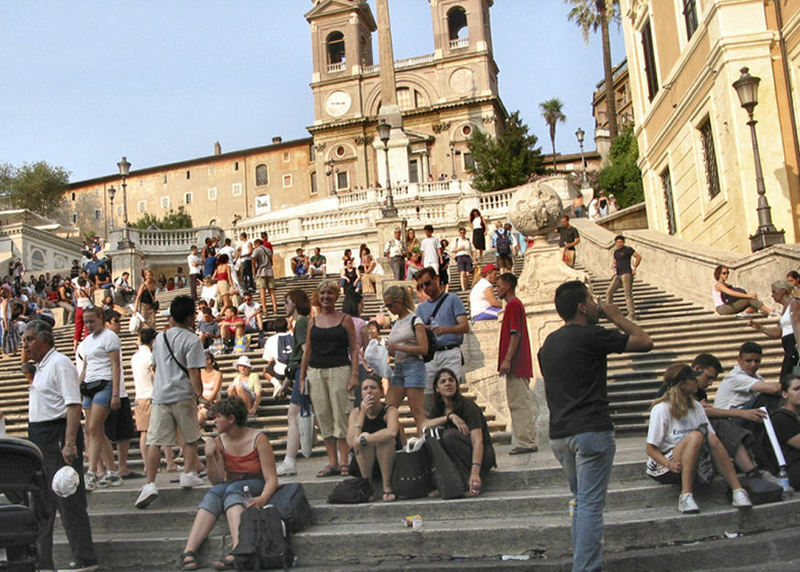 I also like heading to the web for tips and advice, and Wikitravel is one I can recommend. As the name suggests, it's user-generated, which raises questions about the quality if not the comprehensiveness. On the other hand, though, this is a good example of proof behind the "wisdom of crowds" theory that's prevailing these days. As a complement to published materials, it's terrific. I tend to travel modestly … or on the cheap, to be more blunt. That doesn't mean that one can't read up on what travel can entail. This site is basically a fantasy land, and a fun one to survey. 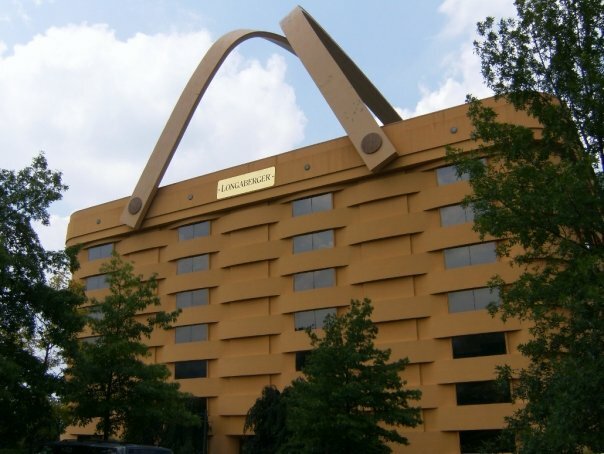 The above looks a bit like a basket set among a bunch of bushes; it's actually a building - the corporate offices of Longaberger, the Ohio-based company that manufactures baskets. We were in Ohio for a wedding a few days ago, and on some downtime we took a relative's advice and sought out the seven-storey building that resembles the signature product. Although I had never heard of the company, my wife had, and was also well aware that the higher-end items (even the lower-end stuff is pretty pricey) are collectors' items. Martha snapped this pic while we stopped outside the HQ, in Newark, Ohio. A few miles away, there's also a "homestead" - it's a very homey kind of company - that draws tourists who've come to see the handcrafted operation up close. More details on the above building here. "France is a country where the money falls apart but you can't tear the toilet paper." Ottawa has always had an image problem, but while I was working there (albeit between 1985 and 1987), I was struck by the wide range of recreation opportunities, and the unexpectedly cooler corners of the city.